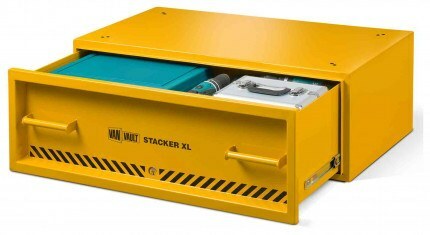 The Van Vault Stacker XL is a van storage drawer with certified tested security for storing and protection power tools in their carry cases. 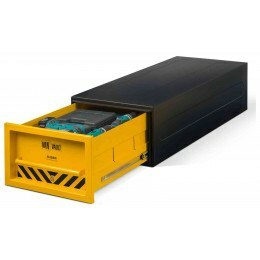 It can be used in conjunction with the Van Vault 2 or used with more Stacker XL by bolting one on top of the other. Independently tested and certified by Secured by Design for security resistance against attack - the Police preferred specification and the Master Locksmiths - SOLD SECURE - Silver Security certificate. 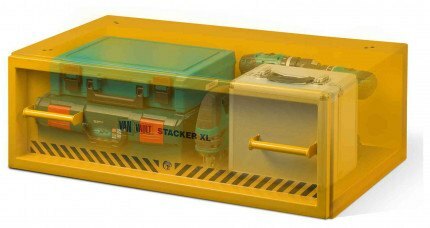 The Stacker XL has a soft foam interior to prevent damage to toolsand has a load capacity of 300kg. It is supplied with a 70 mm high security anti-pick and anti-drill stainless steel disk lock that has 3 keys. 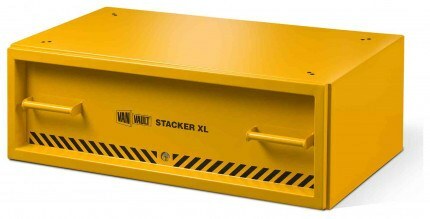 The Vaultlock&trade; is buried deep into box and protected by by a hardened steel plate. 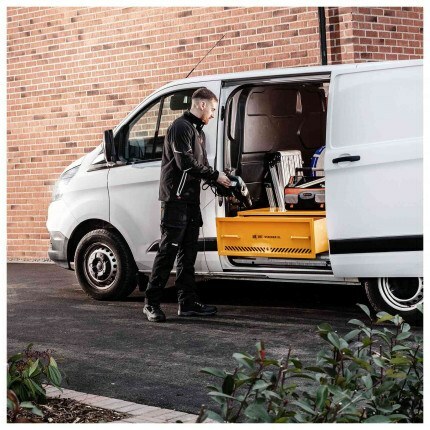 The Van Vault Stacker XL - The ultimate high security vehicle equipment storage drawer that is both security tested and certified The Van Vault Stacker XL has been designed to store and protect power tools in their carry cases. 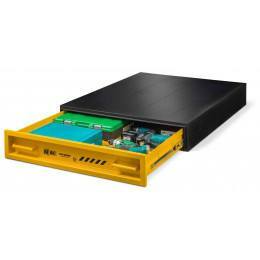 Stack and bolt more than one Stacker XL together for extra storage or bolt a Van Vault 2 on top for even more.